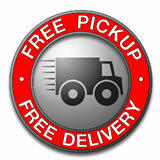 Free LOCAL pick up & re-delivery. If you cannot make it to us we will arrange to come and collect your faulty PC, Laptop, Apple, Smartphone or Tablet. We will then carry out the repair and re-deliver it to you. Out of hours collection/re-delvery arranged. 8am - 8pm. We also now offer a FREE repair collection & re-delivery service. So if your are unable to get to our shop, we can arrange to come and collect your faulty PC, Laptop, Mobile Phone, Tablet or Apple Device. Our repair costs are very reasonable. Our minimum charge is £25 which includes diagnosis & up to 30 minutes of labour. The form below is intended for your general enquiries only. If you have a specific problem regarding repairs, servicing or upgrades to your computer, it is usually better to call us to discuss in details. You may use the form to provide a summary of your problem or to request a call from us.